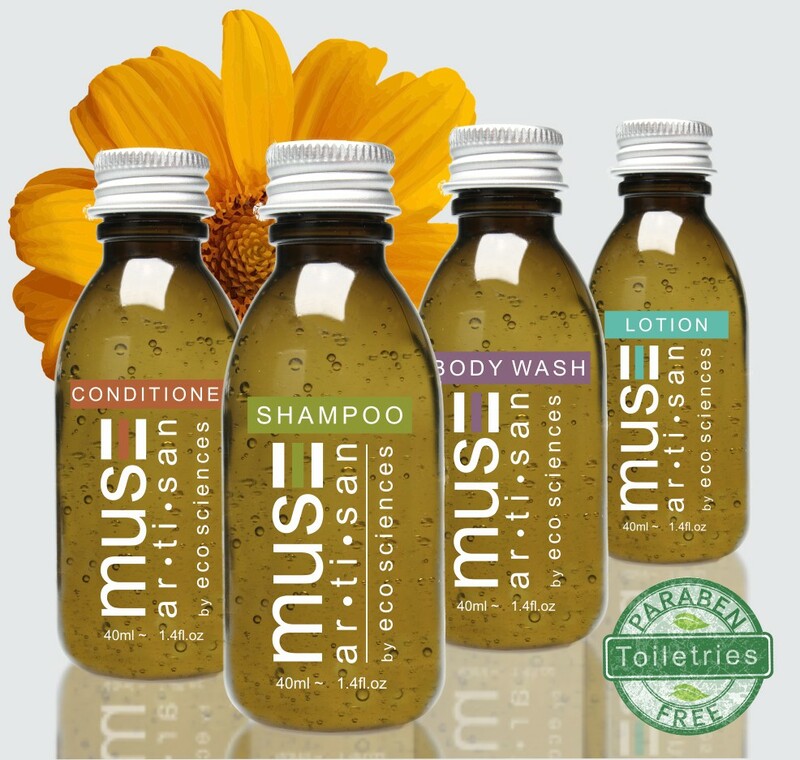 The warmth and intrigue of our newest hotel amenities collection - Muse ar.ti.san – is sure to offer your guests something truly unique and special. With captivating notes of rich sandalwood, our hotel toiletries line spreads its nourishing powers across the hair, face, and body without cheating any spots. 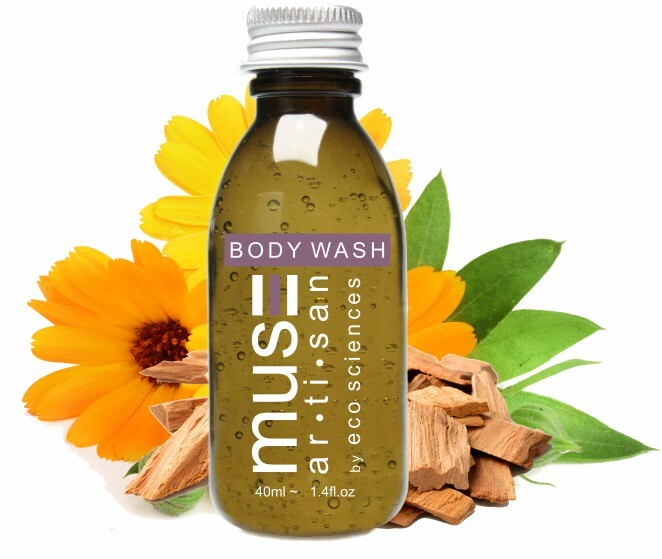 Our collection promotes its signature spa grade formula blend of liquids to keep skin renewed, clean and smooth. 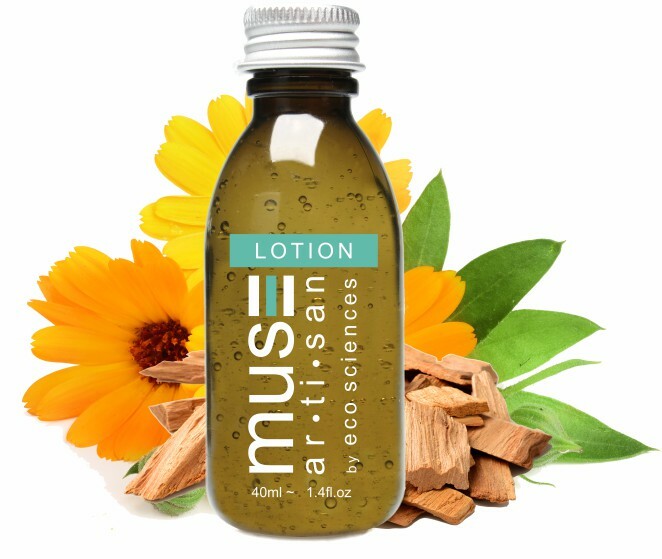 This top selling wholesale hotel spa toiletries collection features: travel size hotel shampoo, nourishing hotel conditioner, travel size moisturizing lotion and cleansing body wash. All our liquid Muse Artisan wholesale hotel guest amenities are crafted in our beautiful nostalgic bottles– with convenient easy twist caps for multiple use. Clever color-coded labels offer quick and easy identification of the different liquids. 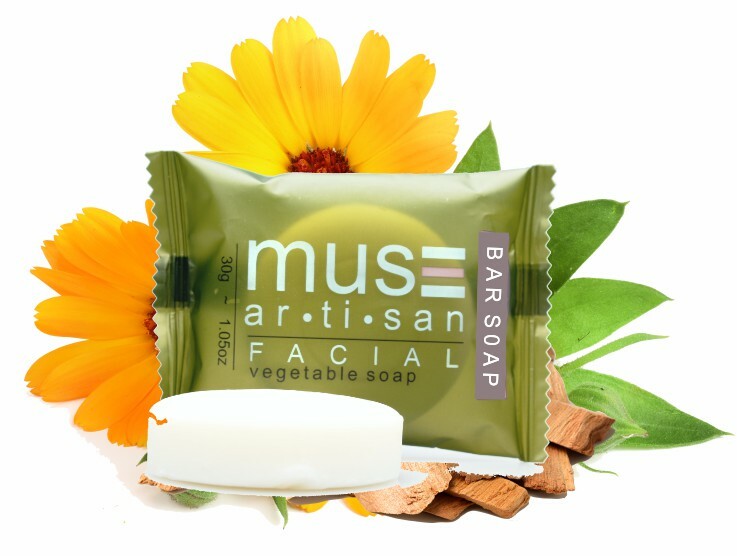 Muse’s luxurious salon grade French milled, 100% vegetable-based soaps, are made with refreshing and revitalizing ingredients, that will moisturize and exfoliate- taking your guests to a true spa experience during their stay. 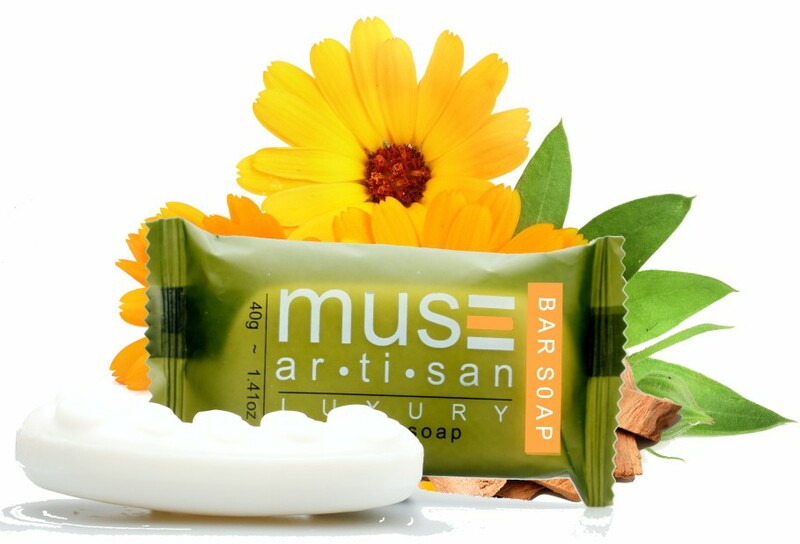 Our refreshing hotel soaps offered in this line of guest room toiletries consist of our 30g Luxury facial bar & 40g massage oat bar – both hinted with the same delicious sandalwood fragrance. "We visited my aunt in Ontario last weekend and this was one the products that the hotel provided. I started smelling each one and fell in love with the smell of this sandalwood soap bar."